Back for a fifth year celebrating rich, colorful, Italian culture is the annual Italian Heritage Festival, honoring the Feast of San Gennaro, as fêted by the Italian-American Club of Hilton Head, Saturday, September 13, from 11 a.m.-4 p.m. While guests can expect the same great activities, food, and entertainment as in years past, the festival is moving to the Coastal Discovery Museum at Honey Horn in order to better accommodate the growing number of vendors and attendees. A crowd of about 4,000 is expected this year. 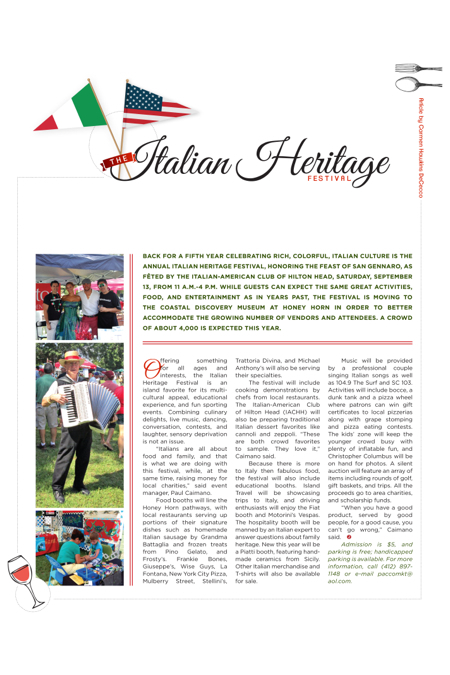 Offering something for all ages and interests, the Italian Heritage Festival is an island favorite for its multi-cultural appeal, educational experience, and fun sporting events. Combining culinary delights, live music, dancing, conversation, contests, and laughter, sensory deprivation is not an issue. “Italians are all about food and family, and that is what we are doing with this festival, while, at the same time, raising money for local charities,” said event manager, Paul Caimano. Food booths will line the Honey Horn pathways, with local restaurants serving up portions of their signature dishes such as homemade Italian sausage by Grandma Battaglia and frozen treats from Pino Gelato, and Frosty’s. Frankie Bones, Giuseppe’s, Wise Guys, La Fontana, New York City Pizza, Mulberry Street, Stellini’s, Trattoria Divina, and Michael Anthony’s will also be serving their specialties. The festival will include cooking demonstrations by chefs from local restaurants. The Italian-American Club of Hilton Head (IACHH) will also be preparing traditional Italian dessert favorites like cannoli and zeppoli. “These are both crowd favorites to sample. They love it,” Caimano said. Because there is more to Italy then fabulous food, the festival will also include educational booths. Island Travel will be showcasing trips to Italy, and driving enthusiasts will enjoy the Fiat booth and Motorini’s Vespas. The hospitality booth will be manned by an Italian expert to answer questions about family heritage. New this year will be a Piatti booth, featuring hand-made ceramics from Sicily. Other Italian merchandise and T-shirts will also be available for sale. Music will be provided by a professional couple singing Italian songs as well as 104.9 The Surf and SC 103. Activities will include bocce, a dunk tank and a pizza wheel where patrons can win gift certificates to local pizzerias along with grape stomping and pizza eating contests. The kids’ zone will keep the younger crowd busy with plenty of inflatable fun, and Christopher Columbus will be on hand for photos. 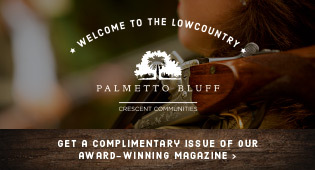 A silent auction will feature an array of items including rounds of golf, gift baskets, and trips. All the proceeds go to area charities, and scholarship funds. Admission is $5, and parking is free; handicapped parking is available. For more information, call (412) 897-1148 or e-mail paccomkt@aol.com.